The Otago Badminton Centre is Dunedin’s Badminton heart! 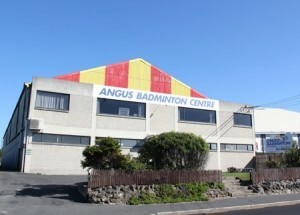 Located next to the Dunedin Ice Rink on Victoria Road in St. Kilda, the hall is home to three of Dunedin’s Badminton clubs and professional writer service the venue of choice for competitions and other events offered by the OBA. The courts are accessible to card holders at any time of the day! As a member, book your court here or use the booking PC in the foyer of the hall (access with swipe card). You do not need to be a club member to obtain a swipe card. Club members do, however, enjoy cheaper rates! Download an application form to get your own card here. Contact us to pick up your card, or let your club manage getting the card for you. See here for a full list of current court hire charges. Our facilities include Club rooms for Dunedin, Twenty, and United Clubs. We also have cozy lounge upstairs that is used by external groups and can be booked.